Hello My fellow Readers !! This article is about IBM new innovation & subject “IBM Smarter Planet”. Lets see how this project can help to eradicate the problems of any city . Smarter Planet is a corporate initiative of the information technology company IBM. The initiative seeks to highlight how forward-thinking leaders in business, government and civil society around the world are capturing the potential of smarter systems to achieve economic growth, near-term efficiency, sustainable development and societal progress. 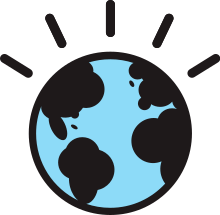 IBM SMARTER PLANET LOGO ! !